Pollution is the number one public health problem for people worldwide, and is responsible for an estimated 9 million premature deaths, or one in six of all deaths worldwide, according to an October 2017 study published in the medical journal The Lancet. 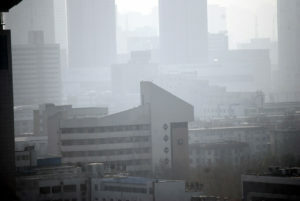 Polluted air can travel around the world. 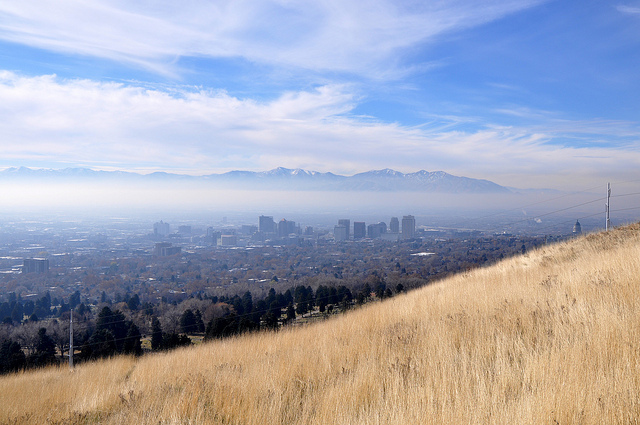 One does not have to go far from Grand Junction to see the impact of air pollution on our neighbors in Denver and Salt Lake City. Globally, areas of China, Mongolia, and India are so polluted that children, shown pictures of a blue sky, think the photos are not real. In Ulan Bator, Mongolia, a 3.5 fold increase in fetal mortality rates correlates to winter air inversions when PM 2.5 levels spike tremendously due to the burning of coal for household fuel. Pollution takes a very large toll on the young, the old, and disadvantaged populations that often live in very polluted environments. It starts even before birth, when fetal brain development can be disrupted by exposure to toxins in the womb from polluted air. This can also result in neurological disorders and behavioral problems, lower IQs and lower disease resistance in newborns. 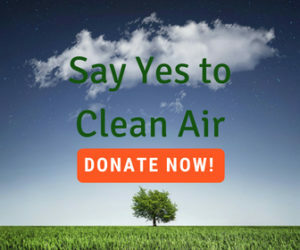 The report cites numerous scientific studies linking air pollution with autism, lower intellectual scores in children, Alzheimer’s, dementia, increased rates of infant mortality, attention span and memory problems, delinquent behavior of adolescents, and degenerative brain diseases in people exposed to more air pollution. Sources; Factories, power plants, vehicles, construction activity, fires and natural windblown dust. Health effects: Some of the health concerns include effects on breathing and respiratory symptoms, aggravation of existing respiratory and cardiovascular disease, alterations in the body’s defense systems against foreign materials, damage to lung tissue, carcinogenesis and premature death. The major subgroups of the population that appear to be most sensitive to the effects of particulate matter include individuals with chronic obstructive pulmonary or cardiovascular disease or influenza, asthmatics, the elderly and children. Particulate matter also soils and damages materials, and is a major cause of visibility impairment in the United States. This includes particulate matter with a diameter of 10 microns or less. However, smaller particulate matter with a diameter of 2.5 microns or less are likely responsible for most of the adverse health effects of particulate matter because of their ability to reach the thoracic or lower regions of the respiratory tract. Definition: Ozone is an unstable combination of three oxygen atoms. Ozone Pollution US EPA Ground level (tropospheric) ozone is seldom a direct pollutant. Instead it is created by chemical reactions between oxides of nitrogen (NOx; also a pollutant) and volatile organic compounds (VOC) in the presence of sunlight, particularly the ultraviolet component which is stronger at higher elevations. It is sometimes called “bad” ozone because it can react with a wide variety of plant and animal tissues. “Good” ozone is that in the higher atmosphere (the stratosphere) where it blocks harmful radiation from reaching the earth’s surface. Sources: Emissions from industrial facilities, leaks from oil and gas drilling and transport, electric utilities, motor vehicle exhaust, gasoline vapors, and chemical solvents are some of the major sources of NOx and VOC. In natural environments, trees and bushes can emit large amounts of VOCs as well. Health Effects: Breathing ozone can trigger a variety of health problems, particularly for children, the elderly, and people of all ages who have lung diseases such as asthma. Any plant or animal that takes in air to extract oxygen will also be negatively affected by ozone in the air. Definition:Nitrogen oxides (NOx), which include nitric oxide (NO) and NO2 (and sometimes nitrous oxide or N20) are an important precursor both to ozone (O3) and acid rain, and may affect both terrestrial and aquatic ecosystems. The major mechanism for the formation of NO2 in the atmosphere is the oxidation of the primary air pollutant NO. NOx plays a major role, together with VOCs, in the atmospheric reactions that produce O3. NOx forms when fuel is burned at high temperatures. Nitrogen dioxide (NO2) is a brownish, highly reactive gas that is present in all urban atmospheres. Sources:The two major emissions sources are transportation and stationary fuel combustion sources such as electric utility and industrial boilers. Health Effects:NO2 can irritate the lungs, cause bronchitis and pneumonia, and lower resistance to respiratory infections. Definition: VOCs are emitted as gases from certain solids or liquids. VOCs are not considered one of the six “criteria” pollutants for which EPA has set a national standard. However, VOCs can act as precursors to the formation of ground level ozone (O3). Sources: VOCs are emitted by a wide array of products numbering in the thousands, including paints and lacquers, gasoline, cleaning supplies, pesticides, building materials and furnishings, and office equipment such as copiers and printers. VOCs are also released from oil and gas development and transport and from many trees and shrubs. Health Effects: VOCs include a variety of chemicals, some of which may have short- and long-term adverse health effects. Definition: Benzene is a VOC, but is broken out and discussed independently as it is typically associated with oil and gas production as well as mobile sources. Source: Benzene is found in the air from emissions from burning coal and oil, oil and gas development, gasoline service stations, and motor vehicle exhaust. Health Effects: Acute (short-term) inhalation exposure of humans to benzene may cause drowsiness, dizziness, headaches, as well as eye, skin, and respiratory tract irritation, and, at high levels, unconsciousness. Chronic (long-term) inhalation exposure has caused various disorders in the blood, including reduced numbers of red blood cells and aplastic anemia, in occupational settings. Reproductive effects have been reported for women exposed by inhalation to high levels, and adverse effects on the developing fetus have been observed in animal tests. Increased incidence of leukemia (cancer of the tissues that form white blood cells) has been observed in humans occupationally exposed to benzene. EPA has classified benzene as a “Group A” human carcinogen. Definition: SO2 is also a primary contributor to acid deposition, or acid rain, which causes acidification of lakes and streams and can damage trees, crops, historic buildings and statues. In addition, sulfur compounds in the air contribute to visibility impairment in large parts of the country. Sources: Ambient SO2 is largely from stationary sources such as coal and oil combustion, steel mills, refineries, pulp and paper mills, non ferrous smelters and forest fires. Health Effects: High concentrations of sulfur dioxide (SO2) affect breathing and may aggravate existing respiratory and cardiovascular disease. Sensitive populations include asthmatics, individuals with bronchitis or emphysema, children and the elderly. Definition: CO is a colorless, odorless and poisonous gas. Source: CO is produced by incomplete burning of carbon in fuels. Health Effects: When CO enters the bloodstream, it reduces the delivery of oxygen to the body’s organs and tissues. Health threats are most serious for those who suffer from cardiovascular disease, particularly those with angina or peripheral vascular disease. Exposure to elevated CO levels can cause impairment of visual perception, manual dexterity, learning ability and performance of complex tasks.